Welcome to another Expanded Universe column where I feature essays from authors and editors of fiction, poetry, and non-fiction, as well as from established readers and reviewers. 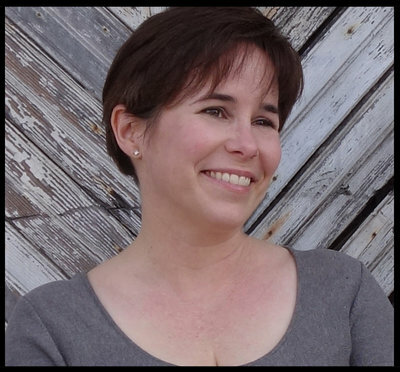 Our guest today is Fran Wilde, whose first novel, Updraft, debuted from Tor Books on September 1, 2015. Her short stories have appeared at Tor.com, Beneath Ceaseless Skies, Uncanny Magazine, and in Asimov’s and Nature. Fran also interviews authors about food in fiction at Cooking the Books, and blogs for GeekMom and SFSignal. You can find Fran at her website, Twitter, and Facebook. If there’s no magic, is a story fantasy or science fiction? If the protagonist is a teen (or a child), and the story is told from first person POV, must the book be children’s literature or YA? If there’s technology, is this science fiction or fantasy? We know what we love to read: narratives that excite us, that carry us away. Often these are the unusual tales, the different stories, the ones that challenge the imagination. Sometimes the literature of the fantastic falls into broad categories – epic; urban; cyber; space opera. Sometimes they get boxed, and branded more tightly – neo-decopunk alternate-world gaslamp lovecraftian space odyssey… (not yet attempted, I don’t think). And just as each label can help new readers find a book, sometimes labels can also keep readers from finding a book. Auden’s concern for those who refuse ‘escapist’ reading with regards to Tolkien is focused on those limitations. At other times, those labels set up expectations that may keep readers from entering or enjoying the story fully. Or they demand formulaic writing in order to satisfy those expectations. We humans are creatures of habit and order; we like to sort things. We sort so we know where we put something, when we go looking for it later. But sometimes, serendipity and boundary breaking combine to reveal something new that spans labels and categories and broadens the scope of literature, as J.R.R. Tolkien once did. What if a story has a bit of everything, or takes a different angle on a familiar tale? What about the mash-ups and the retellings, the stories that weave high-tech in with magic, the ones that shift our expectations beyond the boundaries? How do you read those? How do you move beyond expectations, and enjoy the story? China Mieville’s work — which is often categorized New Weird, even though he tries to write in a different genre with each book — exerts this kind of shift. Embassytown and Looking for Jake (his collection of short stories) are highly different in approach and theme, but they both have layers of narrative – space-opera twined with linguistics and diplomacy; anthropology and anthropomorphism and survivalism all crammed into five thousand words. In Bas-Lag, the thaumaturgs punish people — sometimes, often — by making them into nightmarish machines. Exploring the layers is exhilarating. So, too, Robin Hobb’s FITZ AND THE FOOL series. Her first-person narrator is six when we meet him. But the themes and the world’s expanse are epic in scope. The protagonist’s age, and the fact that the story has a Bildungsroman plot at its heart does not make Fool’s Assassin a young adult or children’s story, that’s just one of its features. Meantime, N.K. Jemisin’s The Hundred Thousand Kingdoms explores the fantastical realms through the eyes of another, older teen, Yeine, as she encounters and learns to deal with politics beyond her ken. Jemisin does this with humans and magic, certainly, but there are also gods in human form, and tortured gods, and child-gods. All deeply wrought characters who lift the scope of the novel, and the series, above the traditional and into the sublime. Is it fantasy? Certainly. Should it be categorized YA because of the protagonist’s age, and first-person point of view? No — This is something else again. Vivid, wrenching, and wonderful. In Elizabeth Bear’s Karen Memory, a young, kickass protagonist on the edge of society in the steampunk western setting of the pacific northwest. This novel spans several genre boundaries with ease. As Karen tells her story (“You ain’t gonna like what I have to tell you, but I’m gonna tell you anyway.”), a span of politics and technology weave through the past strong enough to almost make the reader wish it was true. Real-life people drawn from history play within the pages, while fantastic machines proceed to blow everything up. What about Aliette de Bodard’s The House of Shattered Wings? A post-apocalyptic, end of the 20th century Paris is home to warring Great Houses run by fallen angels. More layers and combinations, more defying categorization. This is beyond urban fantasy, into a strange fantasic that blends Miltonian powers with an alternate, but incredibly vivid, Paris. And Max Gladstone’s CRAFT SEQUENCE – this too has magic, but it is bookkeeping magic, necro-accountancy, and soul-debitry. The gods have been defeated and what is left to run their show is bureacramancy. The politics of a high-flying Gordon Gekko combined with the powers of wizards and gods? What results is a kind of fantasy that crosses all sorts of borders, without apology. Fantasy, then, can be a boundary crossing category, as defined by the layering of adventure and politics, magic and mayhem as by the dearth of any of those. It can be a playground for those willing to skirt the traditional, as well as those who love those traditions. Readers can enjoy “escapism,” while still considering real-world issues as deeply as traditional literature. There’s room for all of it in the genre, and beyond. What is your favorite boundary-crossing fantasy? One commenter will receive a free copy of Updraft. This is one of those brilliant observations that is so clear it seems obvious, but I almost never think about it this way. The categories used to help me, particularly at the brick and mortar bookstores, but now I feel like they steer me away from books I want to read. The idea that any book with a child/teen protagonist is YA is particularly annoying. More and more I’m relying on what I know about the writer (going back to those with a track record) or what I read in trusted reviews or recommendations from friends. The track-record approach has a built-in risk that I will miss a great book by a writer whose earlier work did not appeal to me, but I hope the review and friends component will balance for that. I will say that, though it’s not a perfect novel, I did enjoy Unwrapped Sky, by Rjurik Davidson. It’s got a lot of New Weird elements, some thaumaturgy, social unrest, and gods meddling in the lives of mortals. And minotaurs! Karen Memery is an incredible character! Very memorable. Actually, I have many favorite boundary-crossing fantasy books. As the article implies, each of Max Gladstone’s “Craft Sequence” books is a work of genius. This is also true of Mark Lawrence’s “The Broken Empire” trilogy, which it turns out (spoiler alert!) is as much post-apocalyptic science fiction as it is fantasy; it has strong elements of the horror genre as well. And I am not at all sure how to classify N.K. Jemisin’s incredible “The Fifth Season.” I consider it fantasy, but it is also fair to call it science fiction, and something else too; something that I think is ineffable. Climate-geology fiction? I just don’t know. And there is Kameron Hurley’s brilliant “The Mirror Empire” which mixes epic fantasy, science fiction, and horror. Scott Hawkins’ “The Library at Mount Char” is some sort of weird contemporary fantasy-science fiction-fable-mythology-horror hybrid (and it’s really good). I could go on and name numerous more: Seth Dickinson’s astonishing “The Traitor Baru Cormorant” and… no, I had really better stop. I think most of the fantasy books I read nowadays are boundary-crossers — and they are bound to cross any person looking for a facile way to stick these free-flying, bumpy bubble-breakers into quiet pigeonholes. I don’t have many boundary-crossing fantasy books on my favorites list (yet), but I definitely enjoyed The Hundred Thousand Kingdoms (I plan on reading the second book soon) and The House of Shattered Wings (which is one of the best books I’ve read this year). I really enjoyed The Dead House by Dawn Kurtagich, which is a blend of psychological thriller/urban fantasy YA horror which was published earlier this month. Almost all of the books mentioned above are on my TBR list though, and I can’t wait to read them!! Thanks for such a thought-provoking article. Heroes Die by Matthew Stover is a perfect blend of fantasy and science fiction that merges them both together seamlessly and keeps them both completely distinct and separate within the same world. As for something a little less clearly defined, I’d have to go with KJ Bishop’s The Etched City. I have no idea what exactly it is, but whatever it is is absolutely amazing. 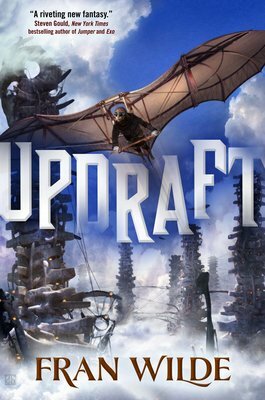 Simon Ellberger, if you live in the USA, you win a copy of Updraft!